I had gone to a good handful of arts, crafts, custom framing stores, and also browsed online for some custom certificate framing. To be honest, I didn’t like any of them. 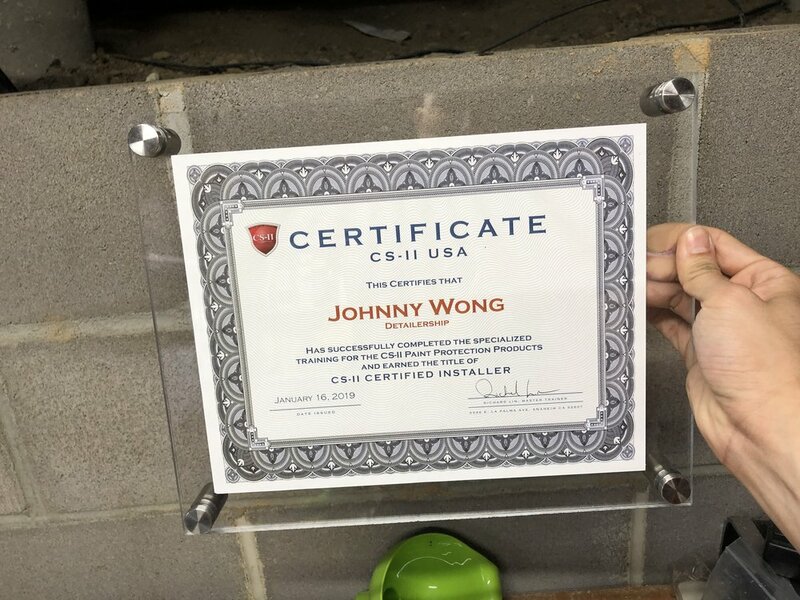 I did find some of these acrylic floating types online, but the sizing was awkward, didn’t fit my space right, and in my opinion did not have leave enough space between the cert. and the standoff post; which made the frame look extra small. 1/16” Clear Acrylic (or thicker. thinner is cheaper) - Match sizing to the above to sandwich your cert. QWORK 3 Pcs Titanium Step Drill Bit Set with Storage Bag,Hex Shank 28 Sizes 1/8" - 3/4"
Don’t make the mistake that I did and use the wrong drill bit (20$ mistake). Acrylic is extremely brittle, and you need the right drill bit to drill through it without cracking it. Using the finest step drill bit, match the thickness of the screw post to the thickness, and drill your mounting holes at the location you desire. I put mine .75” from the corners. Make sure you drill in from both sides of the acrylic. Install your posts, and you’re done!